I cycled 130km along most of National Cycle Route 21 on Saturday, from London to nearly Eastbourne (nearly, because I set out late as usual and it got too dark to do the final 30km). As usual with NCN routes, it tends to take you up hill and down dale when a perfectly good quiet road nearby would have sufficed. However, this route is generally well signposted, and everything after Crawley is very pleasant indeed. Plus you don’t get to cycle underneath an airport terminal and between runway approach lights. I’ve written an article for the route on Wikipedia – it includes the “NCN” box which links to the other routes that have articles – currently 1/3rd of them do. Hopefully, at some point, the Wikipedia route articles, and the OpenStreetMap/OpenCycleMap maps and data, will become the de-facto “official” information sources for the routes. One thing I found when doing the cycle is that some sections are not suitable for road bikes. I’m on the point of purchasing a road bike myself, so it was with some interest that I discovered the National Byway – which aims to signpost quiet countryside road-routes particularly suited for cycling. It looks like a nice idea, even if the logo reminds me of a brand of bread, but it’s a shame this doesn’t come under the fold of Sustrans as a “road-bike routes” category – e.g. it would be nice to have consistency with the waymarking being blue (like Sustrans) rather than brown. There’s also no decent online mapping – I hope it’s not just about selling maps. Finally I’m organising a mapping weekend in Milton Keynes. 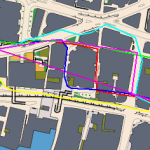 The town has been identified as one of the least mapped areas in the UK on OpenStreetMap, and it’s not far from London, so this is an opportunity to fix that. It also has some completely “blank canvas” areas, which is quite exciting for any London-based OpenStreetMapper living in a “near complete” city. 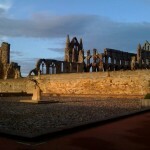 The event is on the 16th-17th May and you can sign up. No prior experience needed. Based on the rough-and-ready approximation that one mapper can survey the area that 1000 people live in every hour, and four two-hour sessions in the weekend, we probably need around 25 mappers to get the whole 180,000 population town completed in the weekend. I’m bagging the area with the concrete cows in it. Not sure where you got the photo from, but I believe the cows are no longer ‘outside’. They were moved about a year ago to Centre MK (the shopping centre in the town centre). Whether they have been moved back out again I am not sure, its been about 6 months since I last visited. Good luck with the mapping! 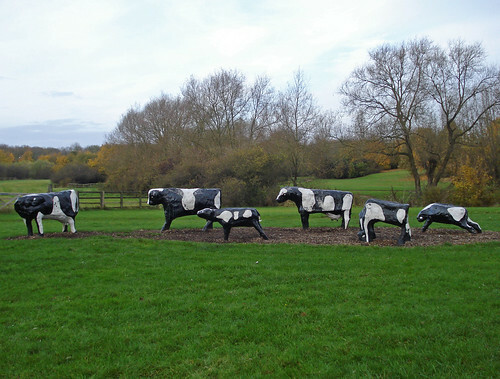 Yes, the originals have indeed apparently been moved there, but the field has replica concrete cows (!) to replace the originals. At least, that is what Wikipedia is suggesting. I’m hoping to get both sets geo-tagged with tourism=artwork at the mapping weekend.